Want to increase your sales? CountdownSpecials is your module to make it real !!! 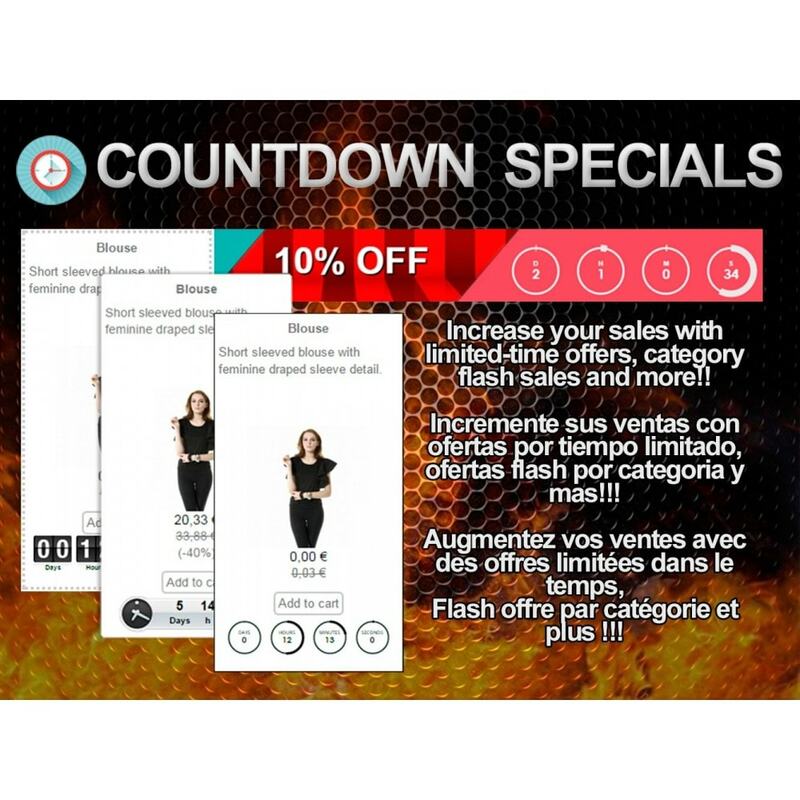 This module allows you to display a regresive countdown on products with limited time offer. 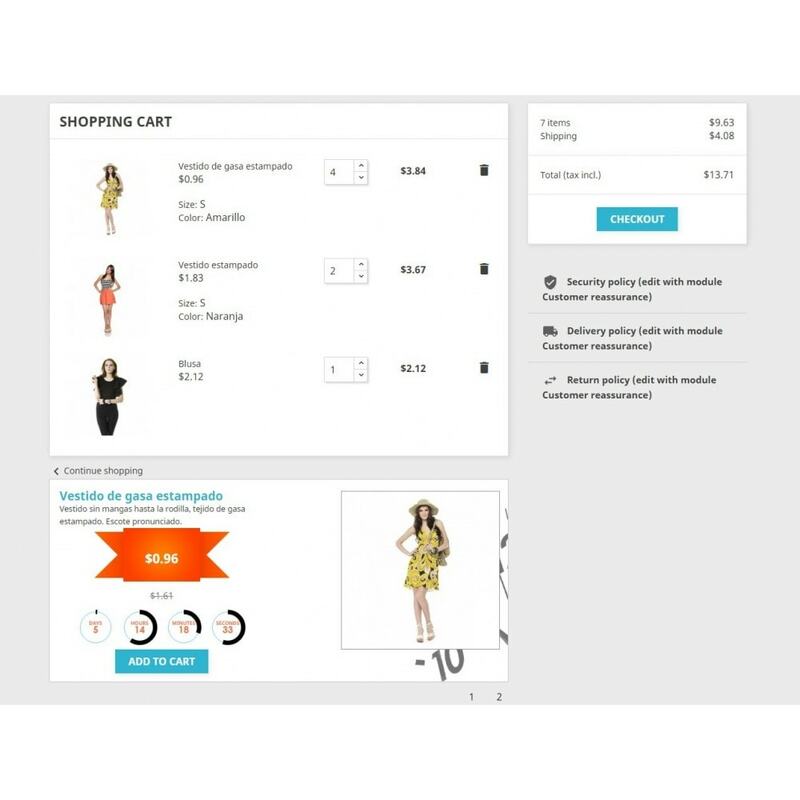 The module can be displayed on the home page (as a separate module, or in the tabs section in PS >1.6), in the columns (as slider) in the Top as a slider,or you can add to the list of products or special offers section. 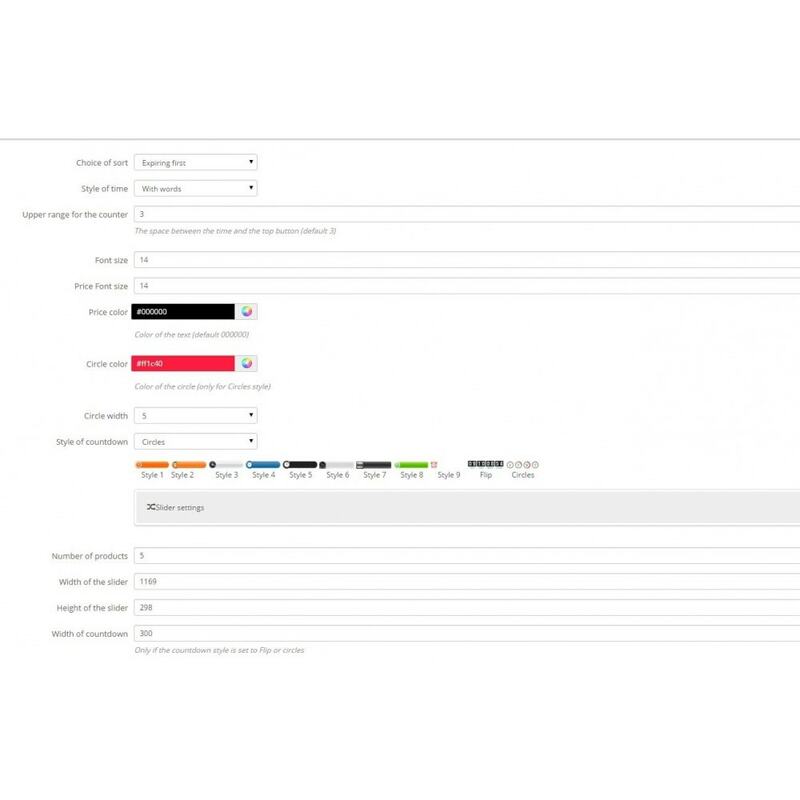 The slider is configurable, so you can change the speed, amount of products to show, border, shadow, etc. And you can select between 2 sliders (responsive or not). The module have 11 different styles, but you an change some features like text color, size, etc, and get more styles with these combinations (static images, flip countdown, or circles). 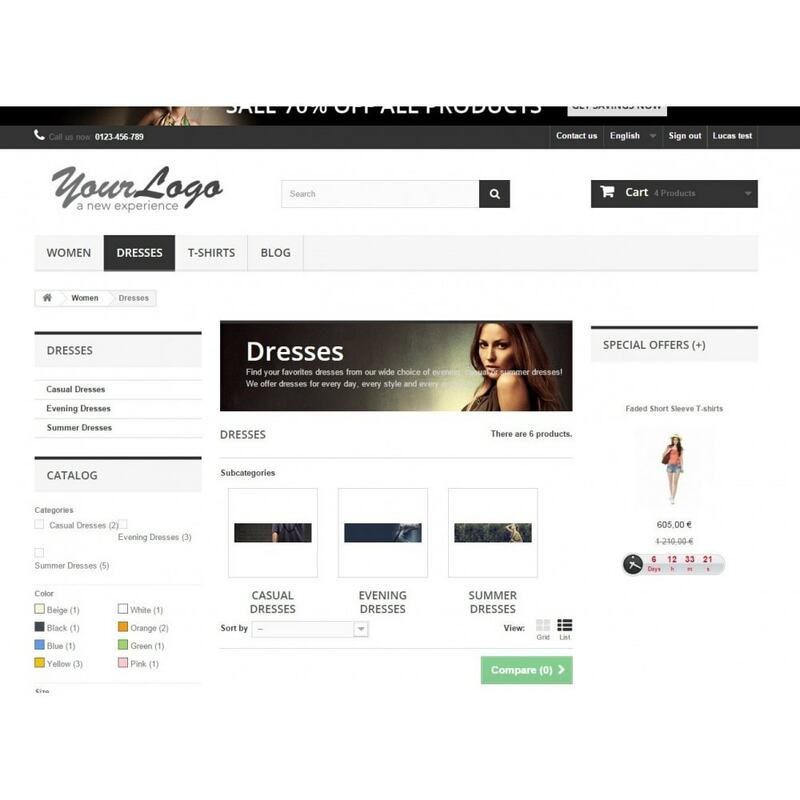 You can enable the total of sales of the product in the product page, to incentive customers to buy. 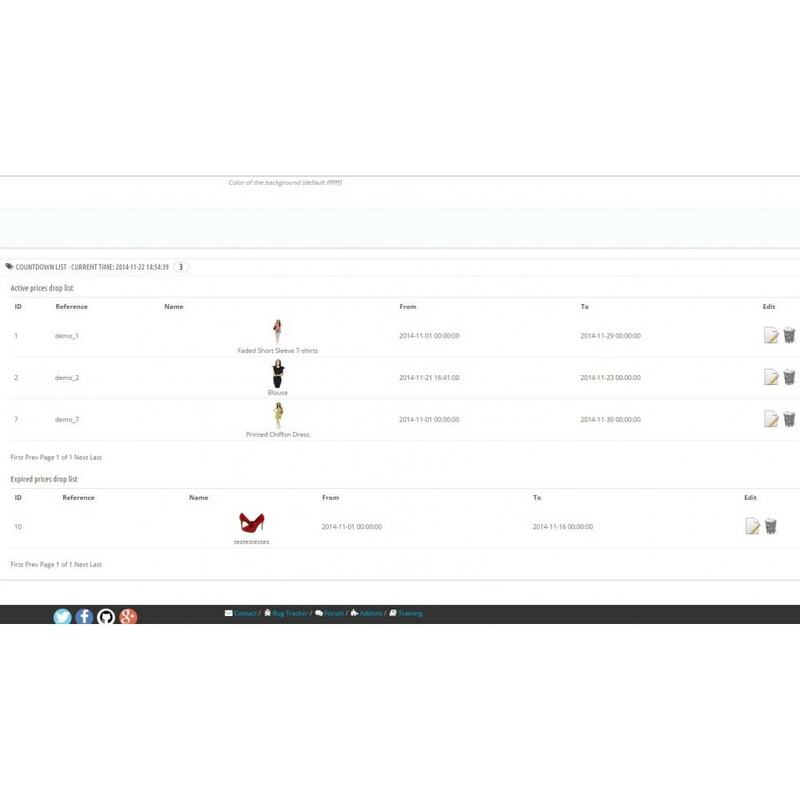 In addition, the module allows you to enable or disable products when you get the start date / end date. This means that you can disable the products when the countdown finish, or enable disabled products when countdown starts (with the module configuration or a cron task). 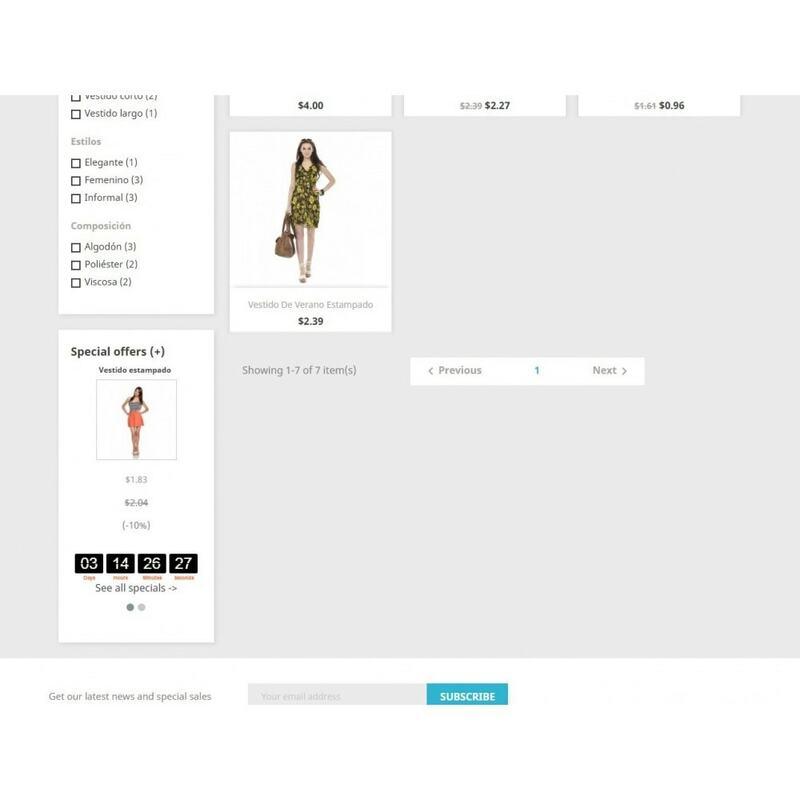 And now, the module adds the time limit products in the checkout section (push on checkout), to increase your sales with more visibility of your offers. See all offers for a limited time in a simple way. 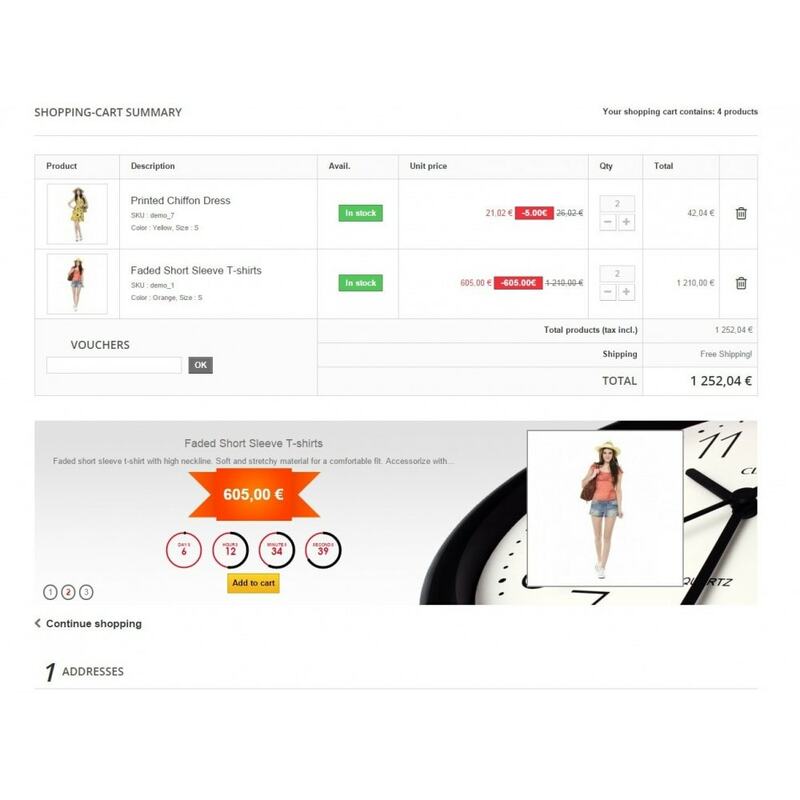 Show time limit offers on checkout to increase your sales!! !